Vicodin is a narcotic that is a controlled substance which means individuals must have a doctors prescription in order to obtain the drug. 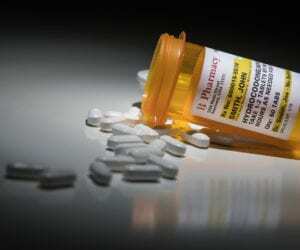 The drug is prescribed to those who experience chronic pain or temporary pain due to surgery or an injury. While the drug is effective in helping to manage pain, it is highly addictive and those who take the drug are at high risk of developing a dependency on it. Vicodin is highly potent and has similar effects as opiates such as morphine and codeine, however, the drug is much stronger. If an individual is prescribed Vicodin for pain management, chances are that they will begin experiencing withdrawal symptoms soon after stopping the use of the drug. If an individual can no longer get their prescription refilled, many of them will turn to illicit drugs such as heroin in order to obtain the same sort of high which will also mitigate the withdrawal symptoms. This is a very dangerous pattern that will lead to full-on addiction. When a patient has been prescribed the drug or an extended period of time, they will begin to build up a tolerance for it. This means that they will require more of the drug or a higher dose of the drug in order to feel the same effects. Over time, the dosing requirements will no longer be effective and this is where the individual may turn to hard drugs such as heroin. The drug works by responding to the bodies reward system, allowing the individual to experience a euphoric feeling. Overtime and with prolonged use of the drug, the individual will not be able to produce the same amount of dopamine and serotonin needed in order to feel ‘happy’. This is when individuals become dependent on the drug, as they can no longer produce the chemicals needed to ‘feel good’. As with most prescription narcotic drugs, there is always the risk of developing an addiction to the substance and this is especially the case in those who are predisposed to the disease of addiction. Those who are compulsive in nature are also at a higher risk of becoming dependent or addicted to this drug. As soon as an individual has developed a drug or alcohol issue, they will require treatment in order to properly get better. Typically, individuals will go through a period of medical detox in order to wean their bodies off of the substance. This will also work to lessen the withdrawal symptoms that are associated with this phase. Treatment is available for those who have a drug dependency or addiction issue. You cannot live a life that is controlled by your addiction; you must get the appropriate help now.